Why would a tropical country like ours be so into whitening? Well, for one, I am not. To be totally honest, I just love basking under the sun and getting tanned all over! But then, basking under the sun does its damage - making the skin dull, and lifeless. Skin looks really uneven and patchy. It would look really dry and scaly, too. I do have that during my post beach-trip, and I immediately go into a whitening phase! Not because I want my old color back, but it's because I want glowing, even, baby-soft skin! Trying out Silka Whitening Soap in the Shea Butter variant is very interesting. I am not really a huge fan of moisturizers and lotions, and looks like this is a great marriage of whitening/evening and moisturizing properties in a soap! It had so much promise that I had to try it. 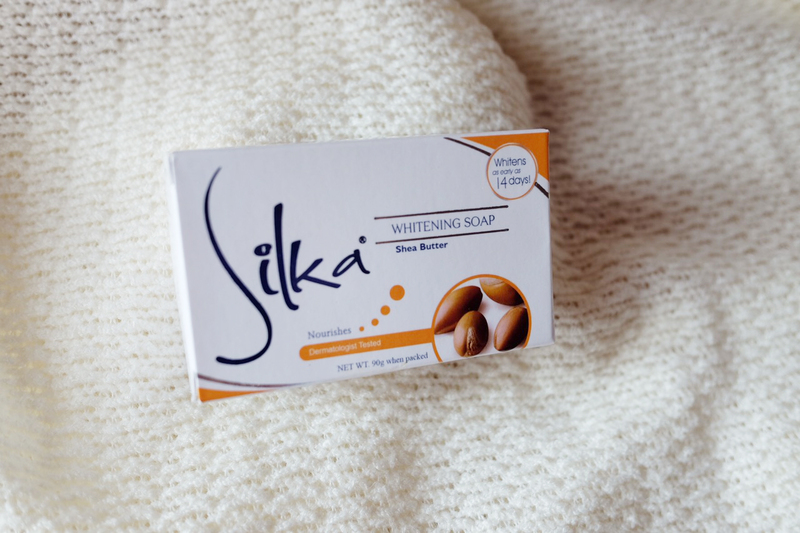 The smell of Silka Whitening Soap is sweet, and buttery, just like dessert. It's the same refreshing soap that I've tried with Silka ( I love, love Papaya! ) but this is more moisturizing, and this is sweet-smelling. This is great for those who are into sweet scents. For the whitening part, it takes patience to wait for the skin to even out - give it at least two weeks! As you use it gradually, you'll just notice the skin go back to its normal color, being smooth and soft. Overall, this is a great soap for those who want to feel fresh after a shower, but also with skin feeling soft and smooth! As for the whitening part - allow this bar to make you amazed with gradual use!